Many liveaboard boats boast boat-top gardens; it’s about time my sea legs were joined by a set of green fingers too. As well as cosy living quarters, our canal boat home has an expanse of rooftop for us to spread out over. It has to be kept fairly free for practical things like fuel, lifebuoys, logs and ropes but a decent amount of space can be given over to gardening. 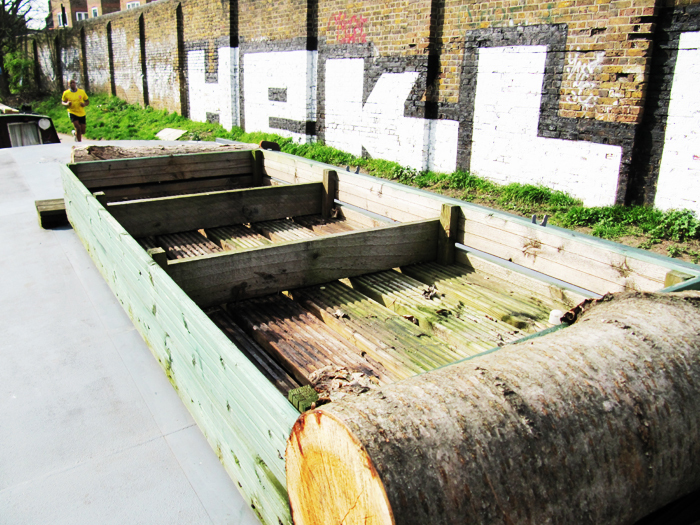 The garden will grow in a 3m x 1m open wooden box positioned on the roof towards the bow of the boat. The box is secured to the boat but slightly raised off the steel to stop water pooling underneath, which could cause the paint to blister. It’s split into three 1m x 1m compartments, and provides some support to pots and planters that would otherwise be vulnerable to the wind. It’s neat, contained and the perfect blank canvas.